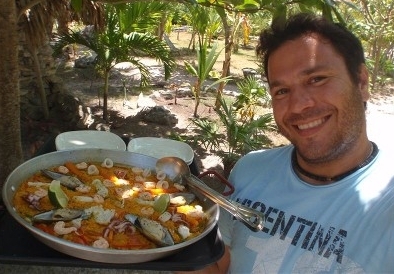 That’s right – one of our favorite chef’s on the island will be making his amazing Paella this Friday night at Pedro’s! Hugo will be cooking up a storm all day, and you get to benefit! Along with great food, we will (of course) have Gino and the Shackshakers rocking the house so come on out and join the fun!